Do your knees hurt? Dr. Jo has a solution for you. Strengthening the knees using physical therapy exercises is key to rebuilding joint strength and reducing knee pain. But physical therapy exercises are only one part of the recipe to stronger, healthier knees. Runner's World recommends people with knee pain take glucosamine and chondroitin, over-the-counter supplements most commonly used in the fight against osteoarthritis in the knees. These supplements work by healing cartilage in joints. Dr. Jo says it is important to "mobilize" the knee before strengthening it. One gentle way to get the knee moving is through massage. Modern Reflexology says massage is effective against knee pain because it helps release calcium deposits that cause knee pain. It may be helpful to move your fingers in a circular motion under the kneecap for 3 to 5 minutes. You can also use reflexology techniques on the feet and legs to relieve knee pain. The Arthritis Foundation reports soaking an arthritic knee in warm water effectively loosens joints and reduces pain. This ancient method works because it reduces the gravity that bears down on the joint and causes pain. Free of excess pressure, not only pain but also swelling and inflammation decrease. To make the most out of your soak, stretch in water treated with Epsom salts warmed no higher than 100 degrees Fahrenheit. Hotter water can lead to cardiovascular problems, which is why a warm, but not hot, temperature is recommended. Epsom salts are known to boost bone-healthy magnesium levels in the body, and stretching in warm water or directly after being in warm water can have a profound effect on a person's flexibility. 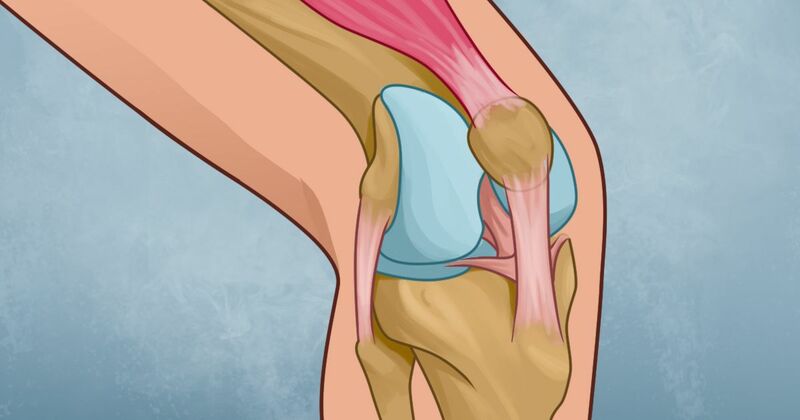 With these tips, you should be able to strengthen your knees and reduce knee pain in no time. Be sure to consult your physician. Any home remedies or major changes to your diet should be done under the guidance of a medical professional. Tell us your success stories and SHARE this article on social media! Aloe vera has been used for nearly 6,000 years to treat a variety of ailments. Brittle nails and apathy are common signs of the world's most common nutritional disorder.